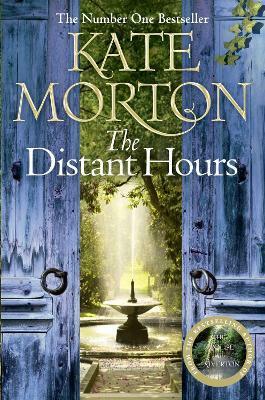 The Distant Hours by Kate Morton, author of the bestselling The House of Riverton, is a heart-breaking story of love and loss with a devastating secret at its heart. Edie Burchill and her mother have never been close, but when a long lost letter arrives with the return address of Milderhurst Castle, Kent, printed on its envelope, Edie begins to suspect that her mother's emotional distance masks an old secret. Evacuated from London as a thirteen year old girl, Edie's mother is chosen by the mysterious Juniper Blythe, and taken to live at Millderhurst Castle with the Blythe family. Fifty years later, Edie too is drawn to Milderhurst and the eccentric Sisters Blythe. Old ladies now, the three still live together, the twins nursing Juniper, whose abandonment by her fiance in 1941 plunged her into madness. Inside the decaying castle, Edie begins to unravel her mother's past. But there are other secrets hidden in the stones of Milderhurst Castle, and Edie is about to learn more than she expected. The truth of what happened in the distant hours has been waiting a long time for someone to find it . . .
Kate Morton grew up in the mountains of south-east Queensland and lives now with her husband and young sons in Brisbane. She has degrees in dramatic art and English literature, specializing in nineteenth-century tragedy and contemporary gothic novels. Kate has sold over 9 million copies of her novels in 26 languages, across 38 countries. The Shifting Fog, published internationally as The House at Riverton, The Forgotten Garden, The Distant Hours and The Secret Keeper have all been number one bestsellers around the world.